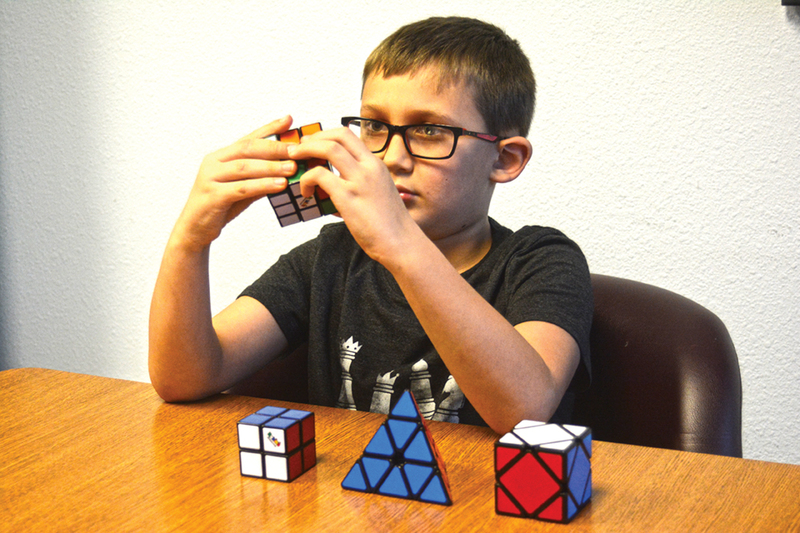 Keizer 7-year-old, Wyatt Isom, learned how to solve a Rubik’s cube the only way a boy his age in this day could—watching YouTube. It took him less than four hours, on a Saturday over Thanksgiving break. “I just saw it on YouTube and I really wanted to be able to solve it,” Wyatt said. The Rubik’s cube wasn’t his first puzzle. After mastering the standard 3×3, which he can now solve in under a minute, Wyatt began trying other size and shape Rubik’s cubes. He has six and can solve all of them. The easiest is the 2×2. Wyatt has learned how to solve them by watching YouTube. But none of them have been as difficult as the first. Wyatt plays video games like a lot of kids but he’d rather work on his Rubik’s cubes. Wyatt solves each cube by memorizing different sets of algorithms. He plans on going to his first competition either as a team in Eugene or individually in Corvallis on Feb. 24. He’d also like to go to national and international competitions. “It just blows my mind that he can do it so fast,” Kaysha added. Keizer Homegrown Theatre will have its own home for its 2018 season. The theatre, which did three of its 2017 shows in Salem at Chemeketa Community College and the Kroc Center, is moving into the events space at the Keizer Heritage Center. KHT has scheduled an open house for Saturday, Feb. 17 from 12-3 p.m. with snacks, coffee, tea and juice to welcome the community to the new home, which seats an audience of 75. The company performed Love Letters in the space last year. KHT will have auditions for its entire 2018 season at its new space, 980 Chemawa Rd. NE, on Thursday, Jan. 25 at 6-8 p.m. and Saturday, Jan. 27 from 12-3 p.m. The company is opening the season with The Brother’s Grim Spectaculathon, a one-act readers theatre in which two narrators attempt to recreate all 209 of the fairy tales of the Brothers Grimm in a wild, fast-paced extravaganza. To make it more difficult, they combine them into one gigantic fable using Rapunzel, Rumpelstiltskin, Hansel and Gretel, Snow White, Sleeping Beauty, Cinderella and other more obscure stories like Lean Lisa and The Devil’s Grandmother. The Brother’s Grim Spectaculathon will open at the Cherry Blossom Theatre Festival on March 10 at the World Beat Gallery in downtown Salem and then move to the new Keizer space the following two weekends, March 16-18 and 23-25. Leona Fay Schroeder Cole was born Oct. 17, 1936 in O’Neill, Neb., to William “Bill” Schroeder and Letha Violet Patterson. She passed away at her home in Keizer on Jan. 10, 2018. Leona was married for 37 years to Thomas Spencer Cole, Sr., who preceded her in death. She loved reading, puzzles and, above all else, family. Leona is survived by her daughter, Carla Spencer and her children Travis and Jenny; daughter, Jeanette Michaelson and children Christopher and Jamie; Mary (Bill) Sughroue and children Casey and Samuel; Thomas Jr. (Karen) Cole and children Sarah and Ashley; Henry Cole and son, Sean; daughter, Patricia Cole along with many great, great grandchildren. Leona was preceded in death by her parents and sons-in-law Hugh Spencer and Rodney Michaelson. 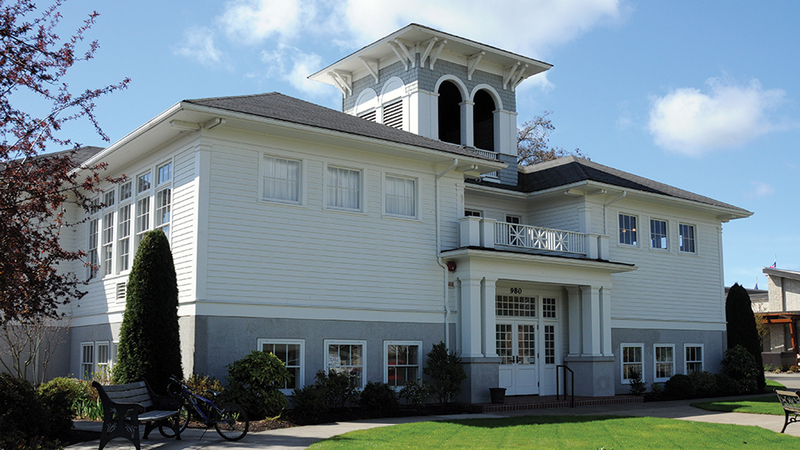 The Keizer Chamber of Commerce is getting geared up for a party Saturday, Jan. 20. Tickets are now on sale for the upcoming First Citizen & Awards Banquet sponsored by the Keizer Chamber of Commerce. Ticket cost is $55 for individuals. The night begins at 6 p.m.
To purchase tickets, go to www.keizerchamber.com. In addition to naming the city’s new First Citizen, awards are presented for Merchant of the Year, Service to Education and a President’s Award goes to a person selected by the outgoing president of the Chamber board of directors. The Keizer Civic Center, 930 Chemawa Road N.E., will host the event. Keizer Fire Chief Jeff Cowan will emcee the festivities. The McNary High School jazz band and the Whiteaker K-Town Sound choir will provide music. In 2017, Jim Trett was honored as the Keizer First Citizen, Bob Shackelford was named Merchant of the Year, longtime Keizer coach Larry Smith was picked for the Service to Education Award and Dave Walery received the President’s Award. Changes coming to high school football? While nothing is final, OSAA high school football schedules may look different than other sports in 2018-19. When the Executive Board adopted its final classification in October, which put McNary and four other Salem-Keizer schools in a league with Bend, it also created a football ad hoc committee, made up of athletic directors, coaches and principals from 1A to 6A. The ad hoc committee’s task was reviving a sport that is declining in participation. One recommendation from the committee allows football teams with a Conley winning percentage of 22 percent or lower to move down a classification for football only. In 6A, McKay is one of the schools that has agreed to move down and play in 5A for two years. The committee has also proposed alignments for varsity football only. In option A, McNary would play in a 12-team special district with South Salem, West Salem, Sprague as well as three Bend schools and five teams from Southern Oregon. While option B would only include the Salem-Keizer and Bend schools, minus McKay. At a meeting on Tuesday, Jan. 16, the state’s 6A athletic directors recommended option B with each team playing four league games and then having the flexibility to schedule five non-league games. 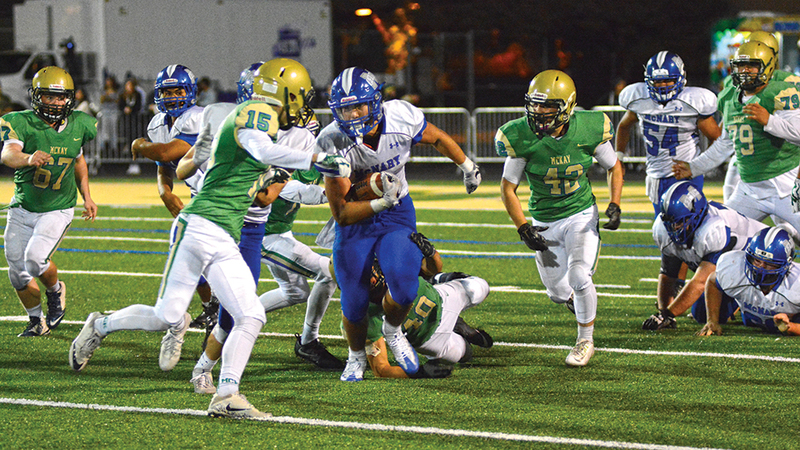 McNary athletic director Scott Gragg said that didn’t mean the Celtics would be guaranteed to play the three Salem schools as part of their league schedule but could hypothetically schedule one of them for a non-league game. The flexibility would allow teams to put together a more competitive schedule after last year 42 percent of games were decided by more than four touchdowns. The 6A athletic directors are also recommending a 24-team playoff, instead of 32, with the top eight teams getting a first round bye. The top eight seeds all won in the first round last season, outscoring their opponents 450-82. “That would be different from any other sport at any other level,” Gragg said. “The committees like to be consistent across the board. You’re seeing that in different sport. But what we’re finding out is football is a different animal. The 6A football recommendations go to the OSAA State Championship Committee and then the Executive Board, which makes the final call. “This isn’t final by any stretch of the imagination,” Gragg said. The ad hoc committee has also discussed eliminating conferences altogether, since playoffs are decided by power rankings anyway, but Gragg doesn’t see that happening this time, even though he likes the idea. Also on the table is Salem-Keizer’s appeal of league realignment for all sports, which is scheduled for Monday, Jan. 29 at 9 a.m. at the district’s Support Services Center. Being in a league with Bend is expected to cost the Salem-Keizer school district $700,000 per year in additional travel. One way to cut costs is sub-varsity teams traveling less. I don’t know about you, but I think January news should be about college football playoffs, not special elections. But we have a very important election coming up on the 23rd and there is a lot of information swirling around out there about Measure 101. Healthcare policy can be really wonky and I don’t claim to be an expert on this issue. What I do know something about, however, is the legislative process and it’s because of something the legislature did that you have a ballot sitting on your kitchen counter right now that needs to be filled out (unless you’re obsessive-compulsive like me and filled it out and returned it the same day it arrived). Back in the 2017 legislative session, the majority of members voted to increase the tax on your healthcare. One important thing to note, is that legislators and staff are exempt from this tax, as are most public employees. No matter how you choose to vote, I think it’s extremely important that you do vote. Oregon is one of a few states that offers this referendum option for citizens to hold their government accountable. In passage or defeat, this election will dramatically change the work that we do in the legislature during the short session starting in February. I am working on a few bills for the February session. The one that’s gotten the most news coverage is one I am co-sponsoring with Senator Sara Gelser. It is to help provide clarity for the Salem-Keizer School District in how they implement their Mandatory Reporting rules. I’ve heard from tons of constituents about this, and I am so glad to announce that the bill number to fix this problem is SB1540. The two other bills I am co-aponsoring are agriculture related. One aligns all seed law under the same contracting statues, protecting family farmers. This bill insures that small family farmers get paid for what they grow in a timely manner. Further, the bill gives the Department of Agriculture the power to enforce contract violations, protecting farmers. My Rural Investment bill clarifies rules around rural property tax exemptions. It allows some cities and counties to incentivize rural investment by implementing a phased-in property tax liability program for newly constructed or installed industrial improvements. I am looking forward to the impact this will have in rural Oregon for agriculture investment and job creation. I always love hearing from you and especially love welcoming constituents to the Capitol. This past week I had a group of high school students come by for a tour. I always remind people that the Capitol building is their building—I may work there, but it is the people’s building, and it is a beautiful testament to our democratic-republic form of government at work. Don’t forget to turn in that ballot! Boondoggle? That’s the question this writer asked himself at learning about a soon-to-be-launched 13-member, special Oregon legislative committee to tour the state after the 2018 legislative session. Around Oregon they plan to hear from multiple groups of parents, students, teachers, administrators school board members and business leaders, exploring best practices used in Oregon’s “most successful schools” and thereby address gaps that limit student success at other schools. The touring group will meet monthly and plan to finish its work by January, 2019, or before the convening of the legislature next year. Not only will this tour group of legislators look into the 1-in-4 who fail to graduate from high school in Oregon. They will also examine early childhood education, fundamental costs and instructional time relative to what community members believe are today’s best strategies for a successful education. We’re told they recognize how important an education is in determining future social service needs with implications for Medicare, tax revenue and incarceration numbers. The answer to the boondoggle question should be self-evident. Yes, this is another boondoggle because these thirteen legislators and colleagues get little done now, when they have the convenience of meeting in one place for several weeks every year. They get little done because each one almost always sides in all matters with his and her political party affiliation which adds up to partisanship, factionalism and ideologue. Tradition and practice forecast that the Democrats on tour will listen attentively to the interests of teachers and labor unions while the Republicans only have ears for business and management concerns. Of course, there are best examples throughout the state but they are most often “best” in relative terms and will be argued to death on behalf of those with a vested interest in keeping their jobs and staying alive where they live and work. Further, anyone who thinks any district in eastern Oregon or on the Oregon coast can compete with a certain district immediately west of Portland or in Lake Oswego should seek sobriety before advertising Oregon as a level playing field. Leaders who believe they can march out into the hinterlands a few times and return to the Capitol with a sure-fire plan to do anything that must cost a whole lot more money to achieve success—which is what’s really needed where so many of the state’s youth receive an inferior education due to the absence of modern-day technology, up-to-date facilities, and 21st century equipment—live in a pigs-can-fly world. Incidentally, these same leaders and their predecessors have had years to do what was needed and have chosen to argue to asinity. The Oregon Legislature cannot even get the businesses of this state (those that reap huge profits in the millions upon millions of dollars every year) to pay their fair share in taxes while Democrats and Republicans, for fear of losing their campaign bucks, protect big business here. Then there’s that sizable collection of our legislators, steered by the state’s special interests, wealthy families and corporate executives, that can only scream, PERS is the problem. That problem will be solved when cats go willingly to bathe, unless legislators come up with a new tax law that requires every entity to share appropriately in the costs of government. Boondoggle avoidance: Vet carefully and hire a proven evaluation team—beyond the influence of special interests—to deliver accurate, appropriately comprehensive results and findings. Bring the findings and recommendations to the Oregon Legislature and determine its acceptability and salability, along with accuracy in cost, to a majority of Oregonians. Select a group of ten Oregon legislators to take the reformation proposal out for show and tell. Let Oregon’s citizens vote on it by a special ballot election. 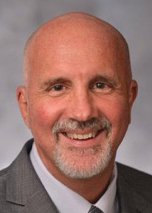 If “yes,” hire the best and brightest Oregon educators to see to it that it is implemented with care and consideration for the difficulties associated with dramatic overhaul. See improvements in Oregon’s public education at all levels and secondary school graduation rates. A shrewd eye for top talent? That’s not the view from Washington. The fallout from the release of Michael Wolff’s new book, Fire and Fury: Inside the Trump White House, with its devastating quotes about Trump and family unloaded by former White House chief strategist Steve Bannon, reveal how overrated Trump’s instincts have been when it comes to choosing the best people for the job. Bannon had told Wolff he saw a June 2016 Trump Tower meeting between Donald Trump Jr., former campaign manager Paul Manafort and a Russian lawyer as “treasonous.” Thus, a once trusted lieutenant breathed new life into the Russian collusion story just as it was losing steam. The White House has cited inaccuracies in the book. For example, there’s an account of Trump not knowing who former House Speaker John Boehner was when the late Fox News giant Roger Ailes recommended that Trump hire Boehner as his chief of staff. In fact, Trump mentioned Boehner repeatedly before then. The thing is, you don’t have to see Wolff’s words as gospel—for example, you don’t have to believe Trump initially wanted to name Bannon or his son-in-law to be his chief of staff—to see how flawed Trump’s judgment has been when it came to staffing the West Wing and his campaign. Don’t take Wolff’s word for it. Listen to Trump. Last week the White House released a statement in which Trump savaged Bannon. “Steve pretends to be at war with the media, which he calls the opposition party, yet he spent his time at the White House leaking false information to the media to make himself seem far more important than he was. It is the only thing he does well,” read the statement. Trump also made the mistake of hiring Paula Manafort to run his campaign, despite Manafort’s known ties to Moscow. Special Counsel Robert Mueller’s office has charged Manafort with multiple felony counts. Manafort says he is not guilty. When Trump is unhappy with a member of his team, he lets everyone know. Trump has berated Attorney General Jeff Sessions for recusing himself from the Russian probe. Just last month, Trump complained to The New York Times that Sessions was less loyal to him than former Attorney General Eric Holder had been to President Barack Obama. Trump undercut his Secretary of State Rex Tillerson when he tweeted that Tillerson was “wasting his time trying to negotiate with Little Rocket Man,” aka North Korean leader Kim Jong Un. Two days later, Trump told NBC’s Lester Holt, “I was going to fire Comey” no matter what Justice officials recommended. While Trump’s demand for loyalty from White House staff is legendary, it is not returned. In one interview, Trump had turned his own spokesman into a liar, if an unwitting one. In Washington, credibility is a currency —and Trump snatched it from an aide for no apparent gain. Add Mueller to the mix, and former staffers have added reason to counterpunch the counterpunching president. Or maybe working for Trump doesn’t bring out the best in a person —if you actually hire the best person.